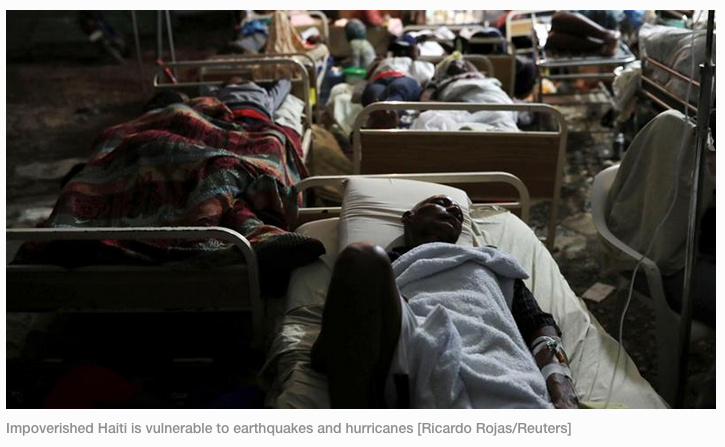 Hospitals in Haiti’s northwestern city of Port-de-Paix are labouring to cope with the fallout from an earthquakeand strong aftershocks which killed at least 12 people. “Clearly, we aren’t ready for such a catastrophe,” said Miclaude. 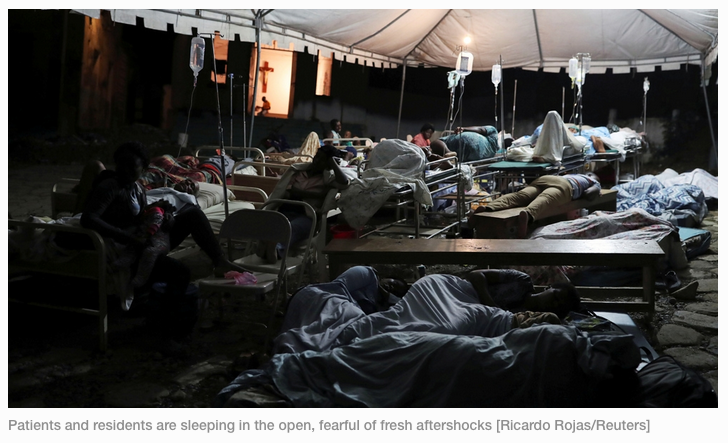 “With all the aftershocks, we can’t really stay inside. We’re putting up tents to receive the patients,” said Polycarpe Saeely, the hospital’s medical chief. “Everyone can see that we don’t have a real hospital,” said Francois Lubernsron, a 28-year-old Port-de-Praix resident. He is one of many inHaitiwhose fear is turning into anger at the government, which has failed to make major improvements to the extreme poverty suffered by many Haitians. Sunday’s aftershock caused panic on the streets where emergency teams had begun providing relief and toppled buildings in several cities. President Jovenel Moise, who recently faced calls to resignover controversial fuel price increases, visited Port-de-Paix on Sunday. He urged people to donate blood and asked international aid agencies to coordinate with local groups to avoid duplicated efforts. The weekend tremors were among the strongest to hit Haiti since a massive magnitude-7.0 quakestruck near Port-au-Prince in 2010, killing tens of thousands of people.